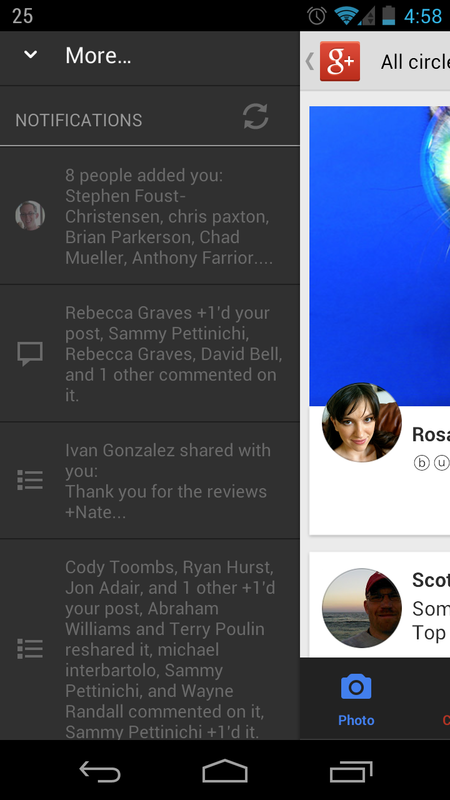 Left: Old style notifications, below the side bar navigation. Right: New style in its own right-side panel. 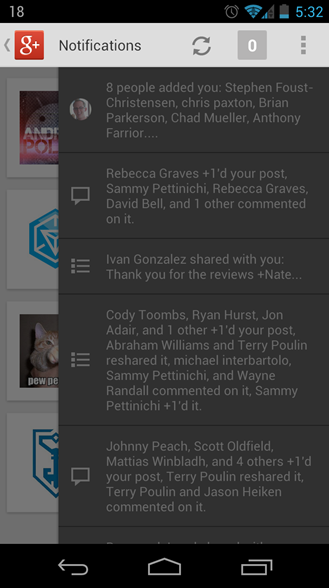 As you can see, notifications—arguably the most important feature of a social network outside its main content stream—are now given more prominence with a special panel. You also might notice that this side bar has slid out over the Communities section. While you still can't access it anywhere, the familiar numbered icon now appears in the Action Bar in most places within Google+. It's much handier. Additionally, the new version now includes some extra Community management features, and the ability to add a link when creating a post. Now, when you share a link via the mobile app, it will be embedded properly and look nice. Up until now, that has not been the case. The update is live on the Play Store now. Download away!